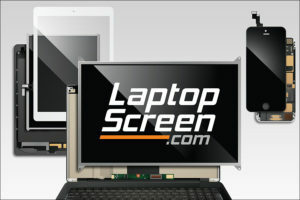 One of the main reasons people visit our site is because they have a laptop with a broken screen and it needs to be replaced. Usually people know what happened to their laptop to cause the screen to break, and other times it’s a mystery. As well a “broken” screen is not always a broken screen as they might think. 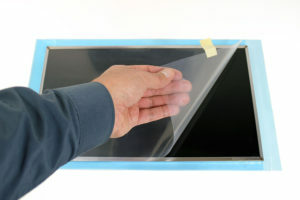 The most obvious evidence of a broken screen is cracked glass or clear signs of physical damage to your screen, but what if the screen is not working properly or doesn’t display at all, is it broken? I thank you for your great service. The correct screen, a day early,,,,,,,,,,,,,,,DONE! I have a DELL Inspiron 5558. I have been dealing with a blank screen since last week. It started out a defective screen (horizontal lines) and now completely blank. It makes 8 beeps which according to various articles on the internet it could be a LCD failure. I’m not sure if it is just a screen failure or TOUCH Screen + LCD failure or just a cable. How would I know what part to order to fix this issue? Your help is greatly appreciated. I have a doubt regarding physical damage on LCD screens. If there is any mark there on screen when u power off the monitor. then that means it is due to pressure on that lcd screen it appears.. Am i right? It sure was informative how you said that opening the laptop from one side brings stress to the glass or bend the screen and can actually cause it to crack. I guess that is the reason why there is a large crack on the topmost portion of the laptop. My brother usually opens it by pulling it from the left side. I will get a professional to give a check and see if the glass can still be repaired or replaced, then I will see to it that it does not happen again. Hopefully you will be able to repair your laptop, and your brother will practice opening the laptop from the center from now on. did u manage to replace the screen of your laptop? I have a lenovo laptop .I once dissconected the cable which connected the screen panel to the rest of the hardware when i pushed it back in ,the laptop screen being on turned black.It went totally blank. I want to know if i have to replace the screen panel or it can be repaired. I have an Lenovo ideapad 305, when turned on it displays ok then it starts flashing white from the edges, it also flashes if you tap the lid or open and shut the lid. I have attached external monitor and it displays ok even when laptop screen is being erratic. I removed screen turned on laptop and wiggled the lead where it goes through hinge and it had no effect on screen. So is a new screen required or is there anymore testing I can do, I do have multimeters . Hello, this could be a failure with flat ribbon cable, either being loose or damaged, or the connector on the screen. You may want to carefully check both for any minor damages to the cable or the connector leads. 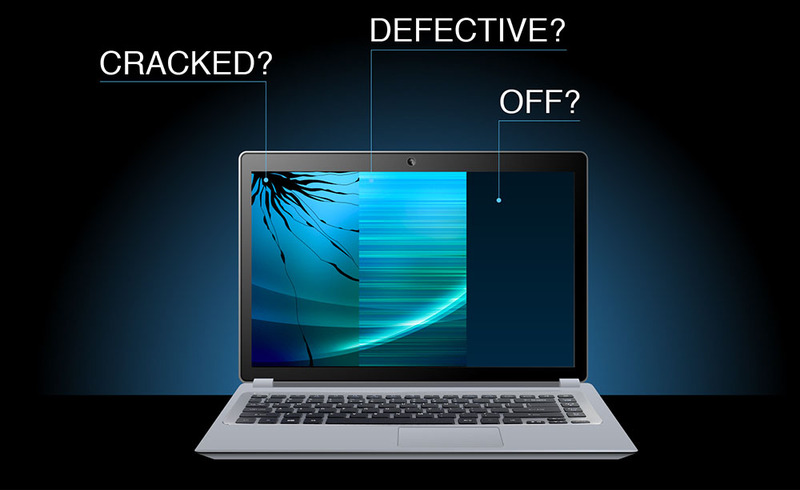 If you cannot spot any indicators of where the fault is, the only options for you is to take the laptop to a repair center to diagnose, or take the chance of replacing the part you think is at fault and hope that it resolves your issue. If you decide to replace the screen and you are still having the same problems, than it is likely the cable needs to be replaced. 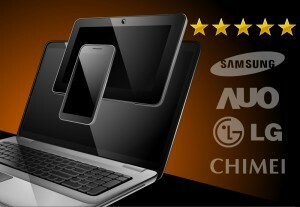 We can accept a return for refund for the screen purchase within 45 days should you not need it. Please i have an acer laptop and one day i was using it and i realise that the screen is becoming “deem” that is seing red colour to be black, i was surprise and didn’t know what to do all of the suden it started changing colours from red, blue, white, black and green. Up till now i could not use it again and i dont know what is the problem. 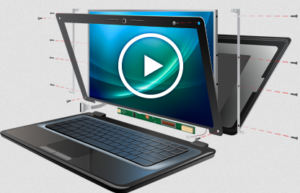 We recommend you connect your laptop to an external monitor to see if the same defect is displayed. If this problem occurs on the external monitor, this means the issue is with your laptop, typically the graphics card or processor is failing. 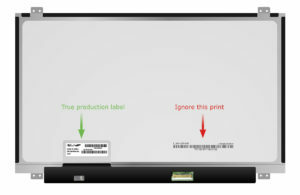 However if the external monitors does not display this defect, your screen or the flat ribbon cable that connects to the screen is failing. I have a lenovo ideapad 320, the first time i noticed my screen was cracked when there was a tiny crack on the bottom of the screen. There were black splotches but i thought that those black splotches would not spread to the other parts of the screen. Though i noticed the crack got wider and wider and so the splotches spread drastically as well. It was a small crack at first. I have never remembered a time where the screen of my laptop was physically damaged, but another crack appeared. The crack went all the way from the bottom middle to the upper right hand corner of the computer. The black splotches again spread wider. I have read that a condition like this isn’t repairable, but should I replace the screen instead of getting it fixed? Or is the screen irreplacable? 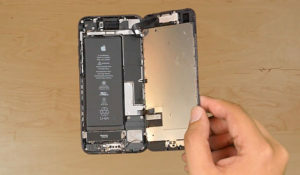 Once the LCD has been damaged and leaking the black liquid crystal, it is not repairable. The simple fix to this is to replace the screen with a new one. I have been searching for a problem similar to mine all over the Internet but have had no luck. Hopefully you can help. I have a Lenovo laptop that is less than six months old. When I opened it up five days ago and used it, it was in full working order. But now today there is a horizontal band that runs evenly along the bottom of the screen and is about 3 cm wide. It is pinkish in colour and distorts the screen image behind it but, with concentration, you can still see what is happening underneath this band. There is also a ghost image/double image between what is seen in the band and what is seen beneath it, just slightly offset, like a shadow. The rest of the screen from this band upwards still works fine. This laptop is used in an office by several people. Is this something that could be caused by someone putting pressure or placing something heavy on a closed laptop? Or possibly spilling something on it? Or allowing it to get too cold when left overnight in a car? No one seems to know what could have happened to a perfectly working, very new laptop so trying to figure it out. Thanks for your help. The issue you are having can be 3 types of problems. Either the LCD is faulty and needs to be replaced, or the cable connecting to the screen is either A: loose and needs to be reseated or B: Damaged and needs to be replaced. 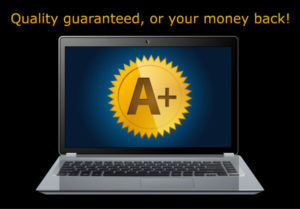 You will not really know which of the 3 the problem will be unless you have your laptop taken to a repair center to be diagnosed or by replacing the screen or cable to see if this resolves the issue. 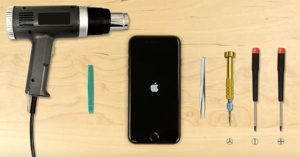 You can however try removing the screen and re-install it to check if this was simply a loose connection. first i had a hindge problem yesterday I was broken on left side while I managed to open it today and my half screen is white half screen is normal as my hinge is broken I can’t flip my laptop fully so I can’t see my screen has a crack or not what to do . Are you able to provide a link to post an image of your laptop powered on with all 4 corners of your screen visible? I have 2 monitors. One, a Dell, has tiny pinpoints of white light on the Windows screen. There are several dozen. The pinpoints are flashing, i.e., blinking, not in unison, but randomly. Is there a problem? Is the monitor malfunctioning? For this problem, you could be having hardware failure with your processor or graphics card. One way to test is to connect your laptop to an external monitor. 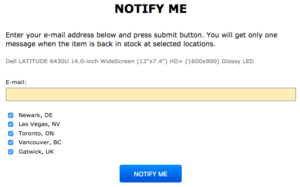 If you have flashing pixels on the external monitor as well, this confirms your LCD is not the problem. hi ,i have laptop inspiron dell 1420 display lcd but 1400 mobo without graphics nvidea.., my display started as single vertical lines and little flickering horizontal lines but later it increased and one day the display got blanked, with external monitor the display is fine and good. This does sound like your screen has become defective, likely an inverter problem. 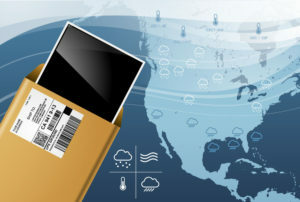 These types of screens your laptop uses however have long been discontinued in production due to using outdated technology. Screens made today are LED backlit and do not require inverters. 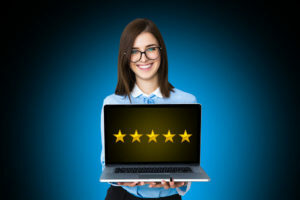 Should you want to try replacing the screen it is recommend you search online using the screen model and hope someone has this screen available for sale. Hey, I’ve got a Hp Pavilion. I don’t remember exactly what happened, but I might’ve opened it from the corner because the corner is pretty messed up (but it’s mostly broken on the border between the screen and the edge). The main thing I’m worried about is that there are a few cracks that are pretty long. So far there’s been no image problem, just the cracked glass look. Should I stop worrying? Will it get worse? Replacement? Super-glue? What should I do? If this is touchscreen laptop it sounds like you have only damage the digitizer glass, this will not affect the displayed images, however you could lose touch functionality later. IF this is just a normal LCD, the cracks will spread until all cracks have reached an edge of your screen. There is no proper way to repair this, only replacing the LCD. You can prevent the cracks from spreading by not moving the laptop, since each time you do move the lid this will cause the crack to continue to spread. 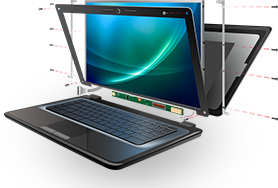 If the laptop does not stay on when powered up you may have a Hardware problem, this is generally something you need to bring to a repair center to directly diagnose the issue. You can also contact Dell support and they may be able to provide you with troubleshooting steps as these laptops have audio beep codes to indicate errors.